Learn how to cut up a whole chicken with these pro tips and tricks. We have a Youtube video tutorial to step you through the process. Be sure to check out the details now. 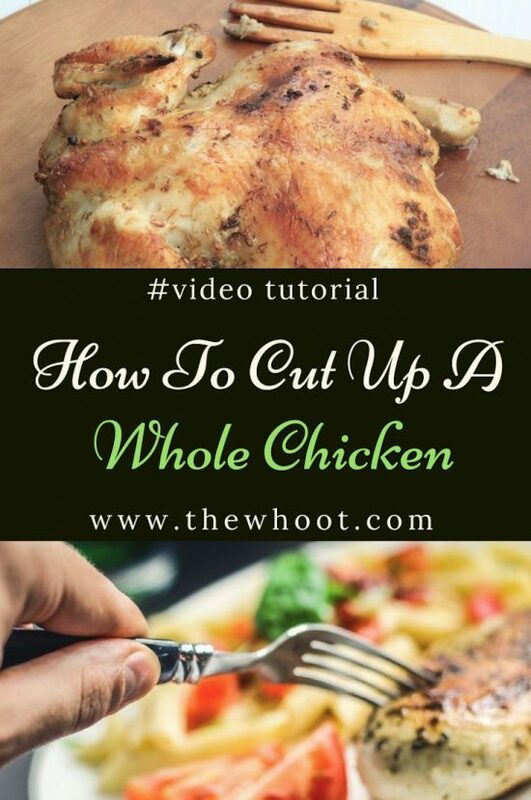 If you would like to save money when you shop, and your family are big Chicken eaters, understanding how to cut up a whole chicken will come in very handy. The other benefit is that you are able to make your own Chicken Stock with the backbone and as we know, homemade anything is preferable to store bought and you save on additives. This Infographic from Eating Well shows 7 steps for cutting a whole chicken into 8. It works out much more economical. You can also use freezer packs if you don’t require the entire chicken. These 7 steps will yield 2 breast halves, 2 thighs, 2 drumsticks and 2 wings. Melissa Clark from The New York Times demonstrates how to cut up a whole chicken and she has some very clever tips and tricks that you won’t want to miss. We also have an excellent article on how to make super juicy Chicken that you might like to read after you have viewed here.